Award Winning Headgear that’s making waves Worldwide. Health & Safety professionals understand that accidents can’t be completely prevented but they also know that they can reduce the risk, with the right choice of equipment. From action in the waves to fun in Waterwalkerz, our multi-award winning ergonomic design is uniquely the lightest most flexible cushioned headgear in the world, especially designed for water recreation. 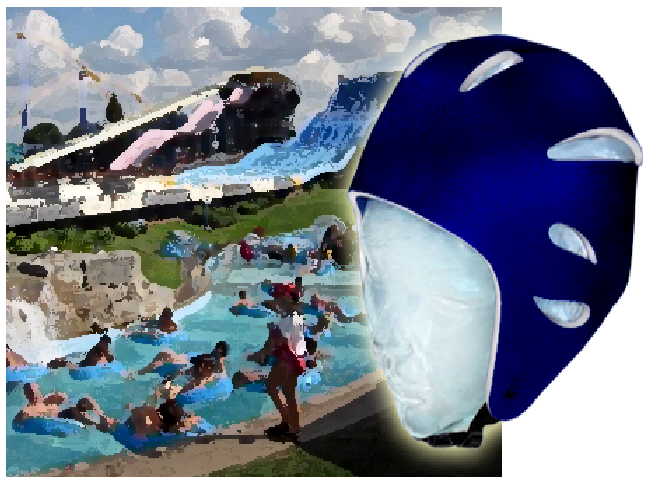 Widely used by many of the world’s leading leisure companies as their essential recreational headgear, making La Bumpa the professionals choice. Click on picture above for safety information sheet.